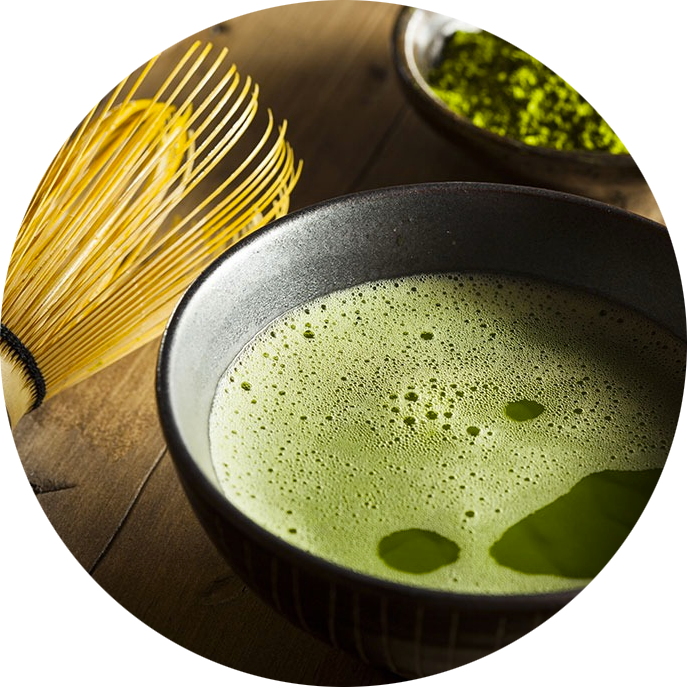 Matcha contains 137 times the antioxidants of green tea – Good for your taste buds – better for your body. Enjoy this delicious treat hot or cold. Ma-Cha Matcha can be mixed with milk, soya milk, almond milk, rice milk or blended in your favourite smoothies. 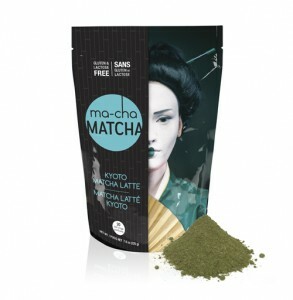 Ma-Cha Matcha is also great in cereal and makes awesome dessert treats. Our recipe is low in sugar and makes more than twice as many beverages than the competition. 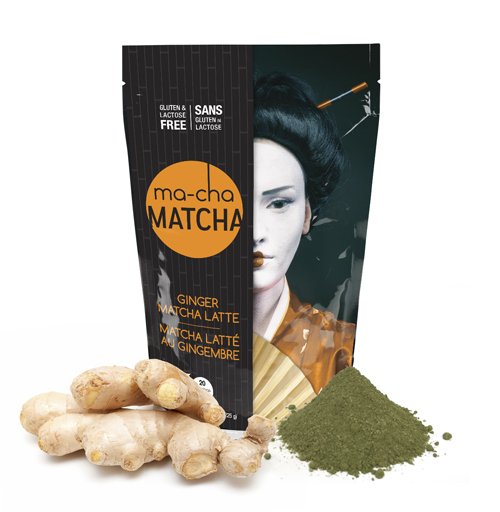 Our matcha-latte mix contains no artificial flavour, colours or preservatives. Pure stone ground matcha green tea, raw sugar cane juice and spices make for a real treat. A Purists guilty pleasure. Fresh flavours of stone ground green tea serve as a great base for lattes. Great also when added to smoothies or cereals. Raw sugar cane juice, stone ground green tea. Raw cane sugar, stone ground green tea, ground ginger. Attention Chai lovers! This rich and flavourful chai is the best out there. Like all our other blends, this chai sports only real spices. No artificial anything! Enjoy. Raw sugar cane juice, stone ground green tea, cardamom, cinnamon, clove, nutmeg. Silky and smooth. What’s better than some Vanilla to give you the feeling of indulging while being good? Try this one iced in a blender. Raw sugar cane juice, stone ground green tea, natural vanilla flavour, natural almond flavour. 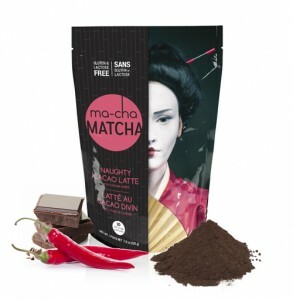 Our hot chocolate mix is made, using pure premium dark chocolate, grape sugar and spices. It contains no artificial flavour, colours or preservatives. All natural and not too sweet. 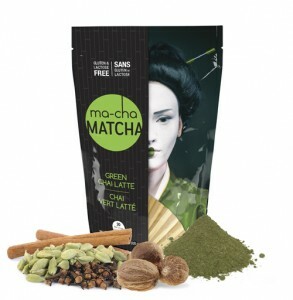 It’s about time that the health benefits of Matcha meet those of dark chocolate. The result is a real treat. 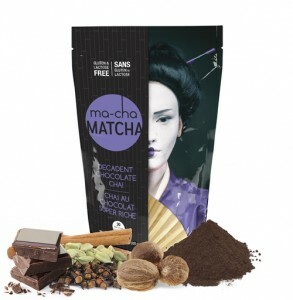 Pure dark chocolate meets matcha green tea. Spiced perfectly with the traditional Masala Chai spices. Delightful “grown up hot chocolate”. Not too sweet and better for you. Mix 2 tsp. Ma-Cha with a 2 oz. of hot water and stir to dissolve. Add 8 oz. of milk. Pour over ice. In a blender, mix 3 tsp. Ma-Cha with 6 oz. of milk and a cup of ice cubes. Blend until smooth. Add 2 tsp. Ma-Cha to a mug and stir with 10 oz. of hot milk. Tip: play with the recipe. If your drink is too sweet, add more milk. Not sweet enough – add more mix.